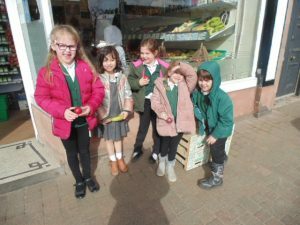 Primary 0ne and two enjoyed going shopping this week to the Fruit and Veg shop. 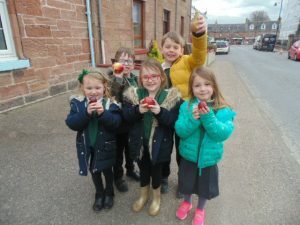 All the children were able to choose a piece of fruit and count out the correct money. 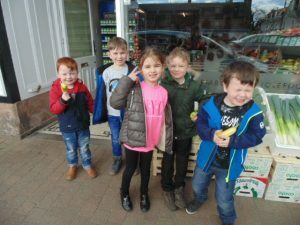 Well done to all of them for being polite and well mannered. Finally thanks to the staff at the shop for being so patient and supportive.